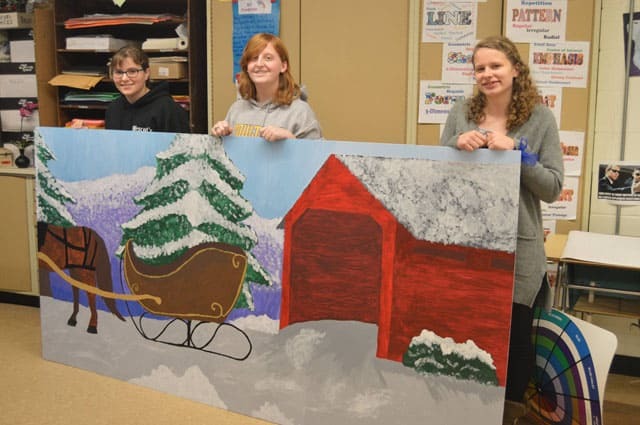 Students of the National Art Honor Society got into the spirit of giving and created a mural for William’s Hardware on Main Street in Poultney. “Mr. Williams and the staff of Williams Hardware are always showing support for Poultney High School and we wanted to show our appreciation for all they do,” said teacher Melissa Kristiansen. Pictured (l-r): Eva Nichols, Cady Ray, and Alexis LaPine.